We have more options to design your book than any other available so you can create a truly unique gift that will be treasured for ever! "As a parent I love to make time with my children for bedtime stories and what could be better than sharing a book where your little one is the star!" Let your child be the star of their own bedtime story book with personalised illustrations and text that you design. 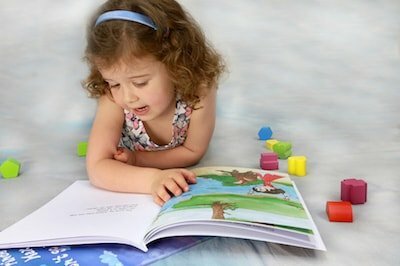 The most thoughtful gift is the one you make yourself so why not create your very own perfect personalised children’s book that will make an amazing gift fit for any occasion. More options to personalise that any other book available and only £19.99. A gently rhyming story that is perfect for bedtime! We don’t just personalise the text we also make it incredibly easy for you to design your own illustrations that truly make your little one a star in their very own personalised book. Beautifully illustrated by you with a truly lovely and gently rhyming story that is a pleasure to read together time and time again. The most thoughtful gift is the one you make yourself, create your very own children’s book in minutes for memories that will last a lifetime! We collect genuine and independent reviews of our personalised children’s book. Of course we think our book is amazing but don’t just take our word for it, please check out what our customers say! Our books have also attracted a lot of attention in the press! If you would like to read more about our personalised children’s book in the news please check out our news page. 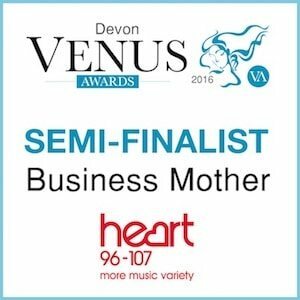 A 5 star review by John Wyatt 15 July 2016.
Business Mother of the year 2016. 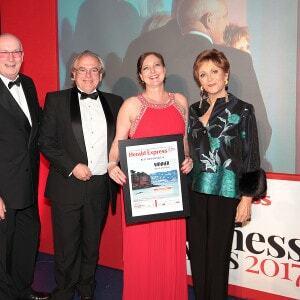 Herald Express South Devon Best New Business Winners 2017. Featured in issue 34 on 17 August 2016.